RAW, an artisan wine fair for fine, organic and biodynamic wines, will launch in London this May. Scheduled to take place at the Old Truman Brewery in East London on 20-21 May, the fair will feature over 150 growers. Classic regions such as Burgundy, Bordeaux and Piedmont will be represented, as well as newcomers like Georgia and Serbia. Organised by Isabelle Legeron MW (left), co-founder of last year’s Natural Wine Fair at Borough Market in London, RAW aims to build on the success of the Natural Wine Fair by acting as an independent event open to all producers, importers and official bodies. International grower associations La Renaissance des Appellations and VinNatur will be taking part, bringing with them growers from across the globe. 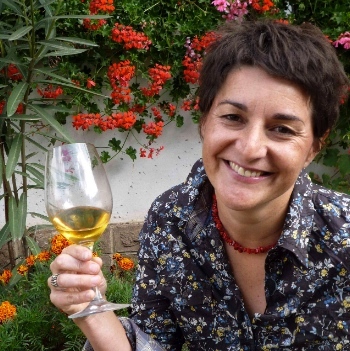 “My aim is to promote transparency in the wine world in order to support the art of authentic wine production. I want to help people think about what they drink,” said Legeron. RAW is enforcing a charter of quality that all exhibitors must adhere to – in order for a wine to be on show at the fair, all grapes must have been farmed organically or biodynamically, only indigenous yeasts used and the sulphur levels must be clearly labelled on the bottle. The fair will include talks from a number of wine expects, including biodynamic ambassador Nicolas Joly of La Coulée de Serrant in Savennières, and José Vouillamoz, co-author of Jancis Robinson MW’s forthcoming book The Grape. There will also be food stands and a pop-up wine shop.